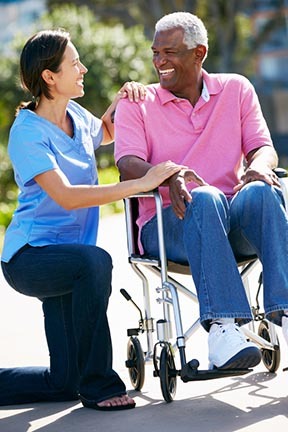 Our staff consists of trained professionals who have given their time for many years to serve in areas of elder care. Each and every one of our employees is also trained and has specialized experience in serving those living with Dementia/Alzheimer’s Disease. To apply for a position to become part of our staff, click here. Designs prescribed wellness programs that work well with our client's needs. Our coordinator helps each resident to work in areas where physical and activities are lacking. This includes activities that challenge the brain. Determines the correct menu and prepare meals as prescribed by the health coach to suit each and every client’s dietary needs. Our house chef is trained in senior meal planning and preparation. Very well trained in this area as well as elder care, with a reflection on the importance understanding the needs of the clients which we serve. Knowledge of proper laundry and cleaning techniques to prevent infection. Performs housekeeping and laundry duties including mopping, dusting, polishing, vacuuming, and disinfecting. Maintains our grounds as well as understanding the needs of the clients which we serve. Our Caregivers are trained extensively in Dementia/Alzheimer’s care. Our Administrator is our founder and director. She is highly trained in every aspect or operating the day to day running of our communities. For additional information, click here. Transports our clients as needed and operates company transportation. All our staff are trained, bonded, fingerprinted and are responsible for carrying the appropriate license as is required by law and as related to their positions.